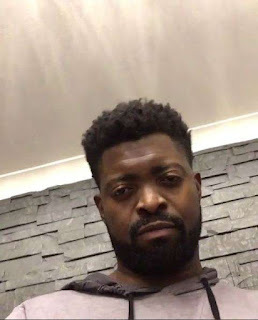 Ace comedian Basketmouth lost his mum on October 3 this year. The bereaved comedian who was recently robbed at gunpoint in his home took to Instagram today, October 12, 2016, to mourn the loss of his angel. Today would have been his mum's 60th birthday. "Happy 60th Birthday Mummy. You'll always be my angel and you belong where you are right now.....with the man that gave me life through you," he wrote alongside some photos of her. His best friend, Bovi, also joined the comedian in mourning his mum. "Another mother has slept. Heaven just gained another Saint. Rest in peace ma. @godwin4577 @basketmouth please stay strong for the rest of the rest of the family," he wrote on Instagram when she died. Meanwhile, Basketmouth recently got his wife, Elsie Okpocha a house in Lagos. She took to her Instagram page on Friday, August 20, 2016 where she posted a picture of the house but immediately took it down.